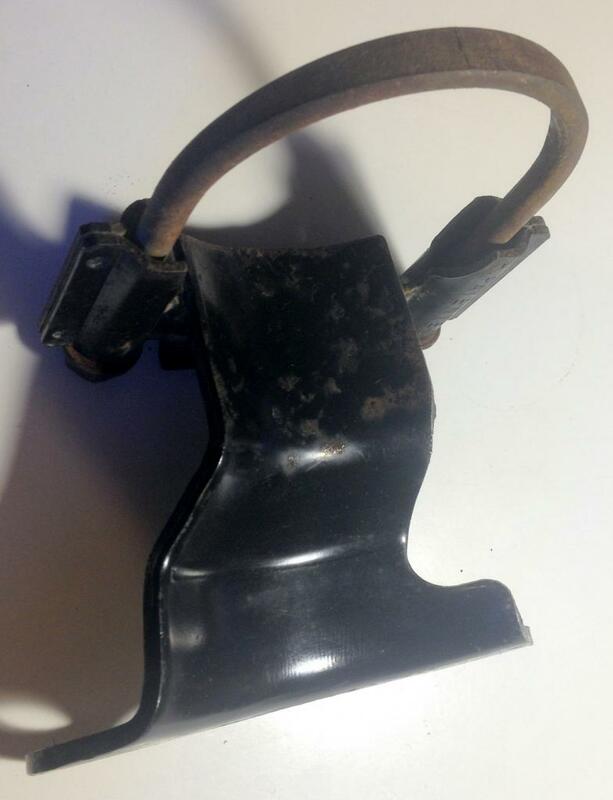 You are looking at a used set of both left and right OEM Ford rear disc brake anti-moan brackets or braces from a 1994-2004 Ford Mustang base model (V6) or GT. These brackets brace the rear brake calipers against the rear axle tubes for extra support against caliper deflection. 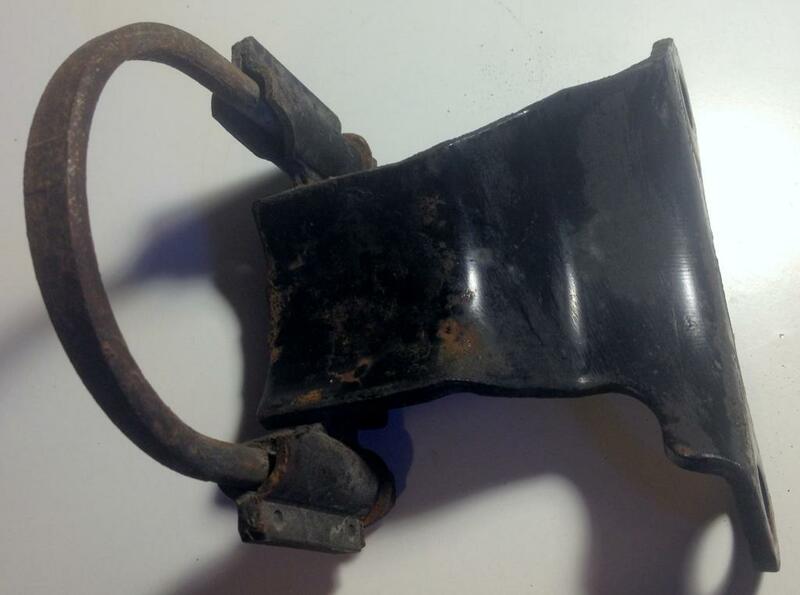 The parts do not appear to be stamped with Ford part numbers, and I have been unsuccessful in locating the correct numbers. I have these parts left over from a disc brake conversion on a 2003 Ford Ranger XLT. 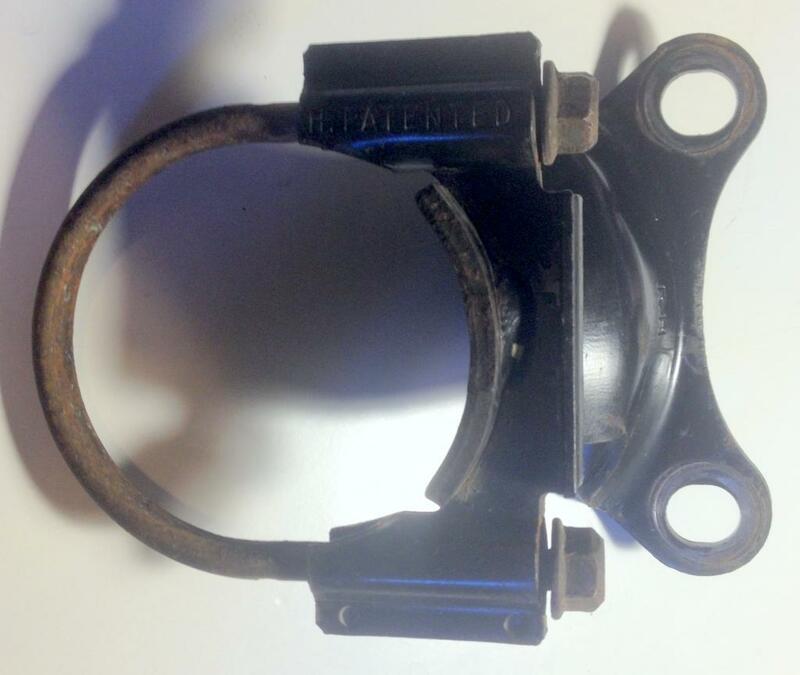 The conversion worked fine for the 20,000 miles or so it was installed on the truck, but was reversed to the stock drum brakes in order to pass Pennsylvania state safety inspection. Therefore, I no longer have any use for these, and offer them up here. The parts are in acceptable shape cosmetically, and excellent shape functionally. There is a some road grime on the body of the brackets, particularly on the left one. Some light surface rust and corrosion is also present, on the main bodies of the brackets, and in particular, on the u-bolts and nuts. The threads on the u-bolts and nuts are not gouged or stripped, and the parts thread together with a wrench. You may want to clean the threads up a bit and use some anti-seize on installation. The bolt holes where the calipers are mounted are clean and intact, but with a little bit of chipped / missing paint surrounding them. The parts function as intended, as I did not hear any noise coming from the rear brakes. 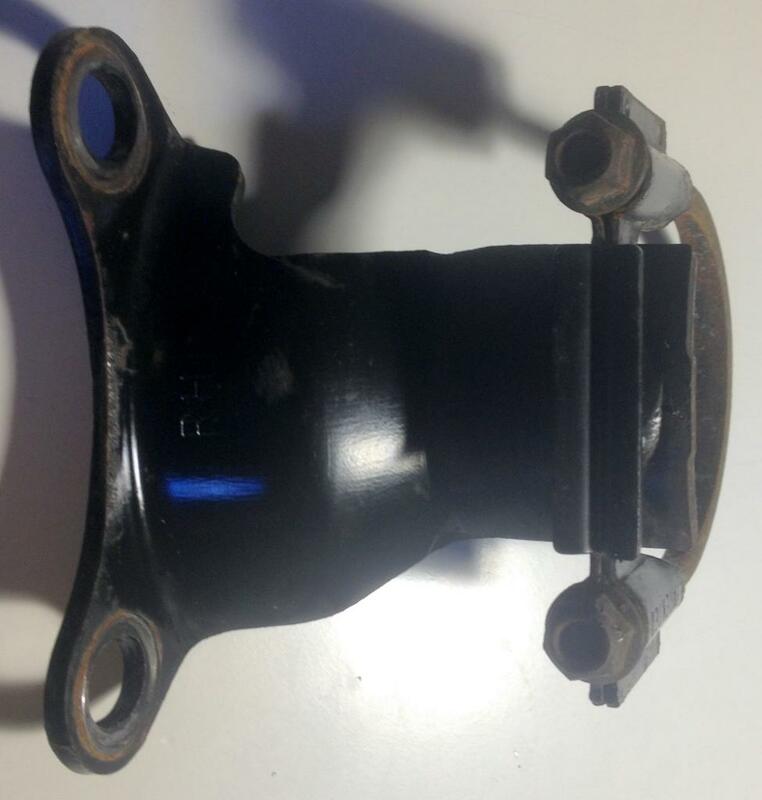 According to my research, this part is listed to fit all 1994-2004 Ford Mustang base model (V6) or GT, as well as other vehicles (such as the 1979-93 Fox body Mustang and Ford Ranger) onto which these rear brakes have been retrofit. To my knowledge, they will not work with the larger Cobra brakes. Please check with your local dealer and/or parts store regarding fitment. $30 local pickup, $40 shipped anywhere in the US, or best reasonable offer. International shipping available for an additional charge. Last edited by CADreamin; 01-02-2015 at 04:32 AM. Price drop...$30 local pickup, $40 shipped anywhere in the US, or best reasonable offer. I saw you have the anti-moan brackets, dust shields and caliper brackets.. do you have the calipers? I do indeed, just haven't gotten around to posting them yet. They're GT calipers and like the other parts, have about 20K miles on them. I didn't paint them so they have your typical coating of surface rust, but otherwise function fine. If you're interested, let me know if you want them with or without the slider brackets (I have those too and haven't posted them yet) and I'll give you a good price. Basically a pick n pull price, plus actual shipping costs from me to you. I have a commercial account at FedEx so I get pretty reasonable shipping rates. Yea, let me know a price for the whole kit.. basically everything I would need minus rotors, pads and brake lines.. or at least whatever you have that is almost complete and I'll see if I can swing it this paycheck and if not, then next. As a package deal, I'm willing to do $110 shipped for everything. That includes the anti-moan brackets, axle brackets that are already cut and chamfered to fit over the axle tubes, dust shields, and calipers with slider brackets. I would need to know soon. 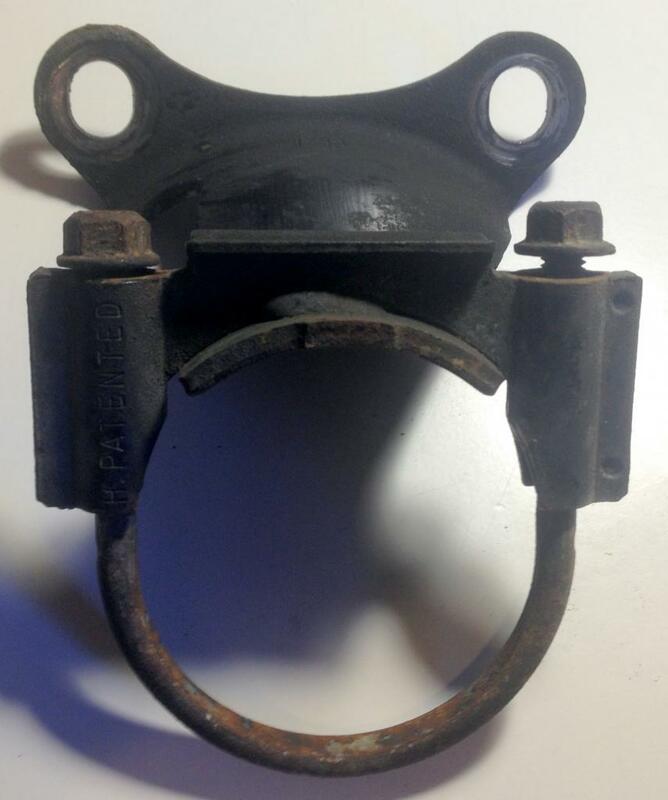 The axle brackets are up on eBay with bids on them, and I only have a limited amount of time to pull them down without selling to the high bidder. If you can't do the whole amount now, some amount in the form of a deposit would hold the parts for you while I pack them up, and you gather the remainder of the money. I can also shoot you pics of the parts that have not already been posted. Thanks for your interest! 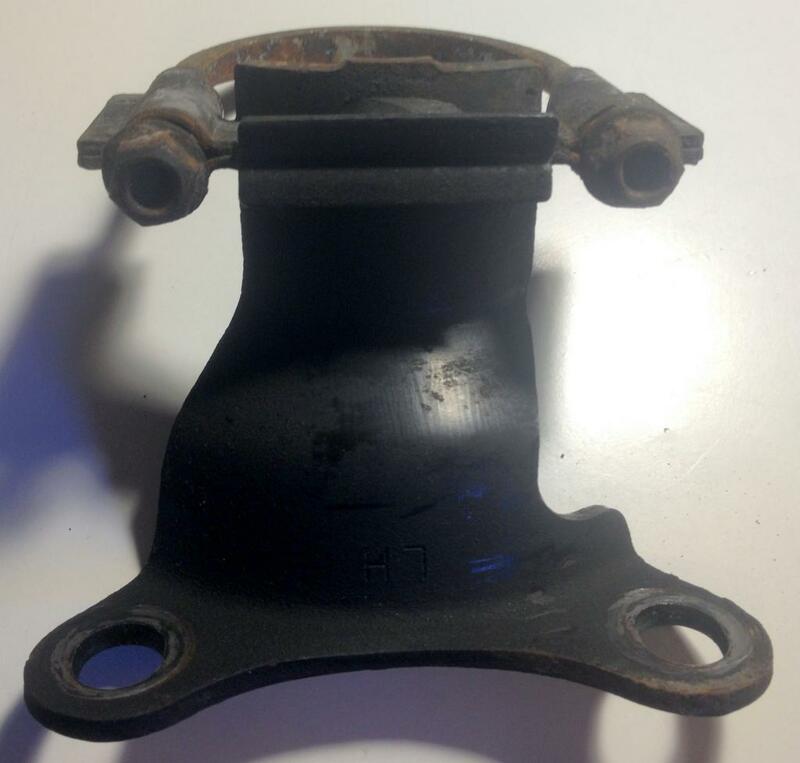 I have roughly 16 hours from now until I'm obligated to sell the axle brackets to the highest bidder. If you're interested, please let me know during that time frame. If you're not interested, a heads up would be nice too. Thanks! Sorry, working on the truck today. I'll take all of it. PM me plz. PM replied and Paypal invoice sent...thanks!